A much awaited commission : the chance to lay a brush on the new Mice & Mystics release, Heart of Glorm. The base game miniatures were so refreshing… this expansion does not disappoint ! Nere is a full-of-little-details shaman, while Glorm is a new foe that doesn’t inspire much trust. That thing looks way more sly than the centipede and spider. It doesn’t truly show on the picture but we used fluorescent pigment for Glorm’s glow (just try to say that very fast 10 times I dare you). 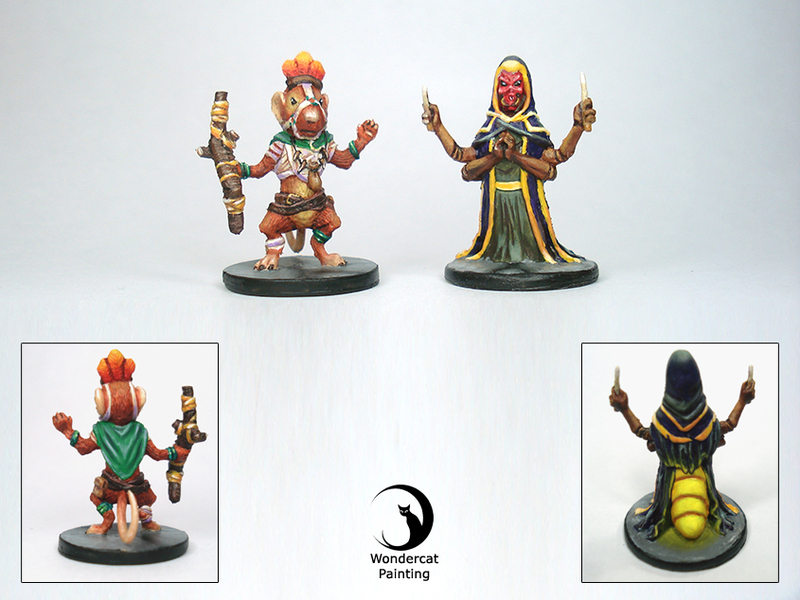 Those litttle fellas are added to our Mice & Mystics gallery.